At T-L and R&K Irrigation, our motto has always been “The Choice is Simple.” With the simplicity of hydraulics and the continuous movement of a T-L, we have the best water application you can get. T-L has gone one step further in combining the simplicity of hydraulics. This new application is called PMDI™ (Precision Mobile Drip Irrigation). T-L’s patented technology has successfully married center pivot technology with drip irrigation. 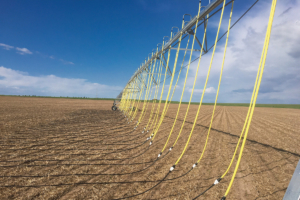 PMDI™ consists of in-line drip hoses spaced at 60”, 40” or 30” between lines being dragged through various crops by a center pivot or linear move irrigation system. PMDI™ combines the efficiency of surface drip irrigation (95%) with the flexibility and economics of center pivot irrigation. 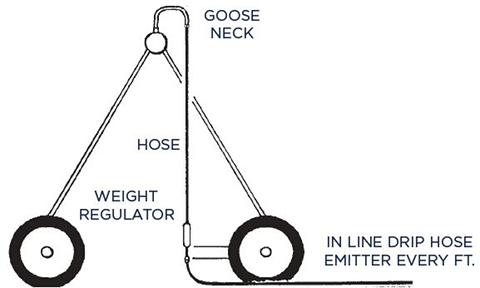 The system consists of in-line drip hoses, in place of nozzles or sprinkler heads, that are dragged by the center pivot or lateral-move system. As the hoses are pulled through the field, emitters deliver an even water pattern across the full length of the pivot or linear sytem. With the drip line design, you eliminate evaporation and wind drift associated with traditional sprinklers because wind will not effect it as it applies the water at a super-efficient 95%. You get all the efficiency of surface drip at the much reduced cost per acre price of center pivots. In many soils and cropping practices, deep wheel tracks on pivots and linears are a problem. With PMDI™ the drip lines water behind the wheels so the tires run on dry ground. 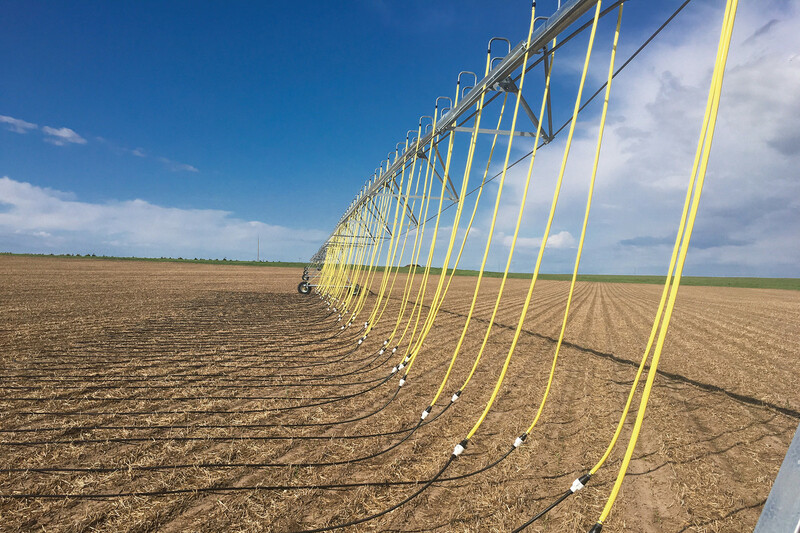 In effect, PMDI™ technology combines the lower cost of center pivot irrigation with the proven efficiency of drip irrigation for total water efficiency that approaches 95%.